OMA Emirates, the financial technology and payment solutions has announces the introduction of MobiSwipe in international markets. Followed by its success and increasing popularity in India, OMA Emirates aims to make MobiSwipe the next best solution after the PoS globally. Currently available only in India, MobiSwipe will now be venturing into the Indian subcontinent, including Sri Lanka, Bangladesh, Nepal and Bhutan, South East Asian markets of Myanmar, Vietnam, Indonesia, and Cambodia, Middle East and the North African regions as well. The introduction of MobiSwipe in these markets is also in line with the company’s global portfolio expansion plans and its vision to increase the use of digital payment options. MobiSwipe comes along with a pocket sized card reader and allows merchants and businesses to accept credit and debit card payments via a simple mobile application. 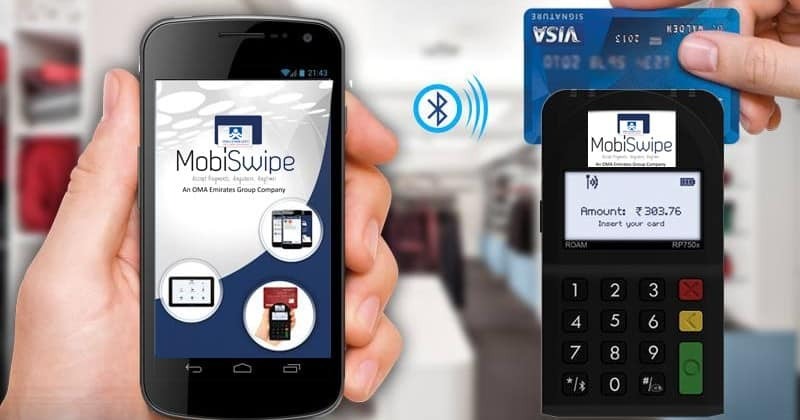 It provides an innovative, convenient and economical payment option to a wide range of businesses by simply connecting the card reader to the MobiSwipe mobile application. It is compatible with Swipe and Chip cards, and is PCI-DSS and PA-DSS compliant. OMA Emirates will deploy the solution directly in addition to channel partners and banks. Indian mPoS MobiSwipe Goes Global 0 out of 5 based on 0 ratings. 0 user reviews.